Greybrook invested equity capital alongside Tribute Communities and oversaw their development of The College at Spadina. The Development was successfully completed and registered as a condominium corporation in November 2016. 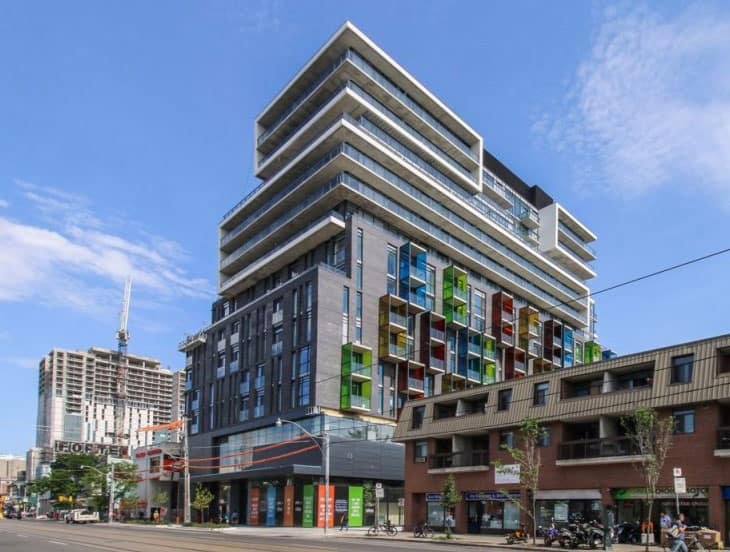 Located at the south-west corner of College and Spadina, the completed development is within walking distance to some of Toronto’s most vibrant neighbourhoods, including Kensington Market, Chinatown, Little Italy, and the University of Toronto. The College at Spadina garnered strong consumer interest from the outset, with its architecturally distinct design, superior location and Tribute’s effective sales and marketing program appealing to a diverse end-user population.